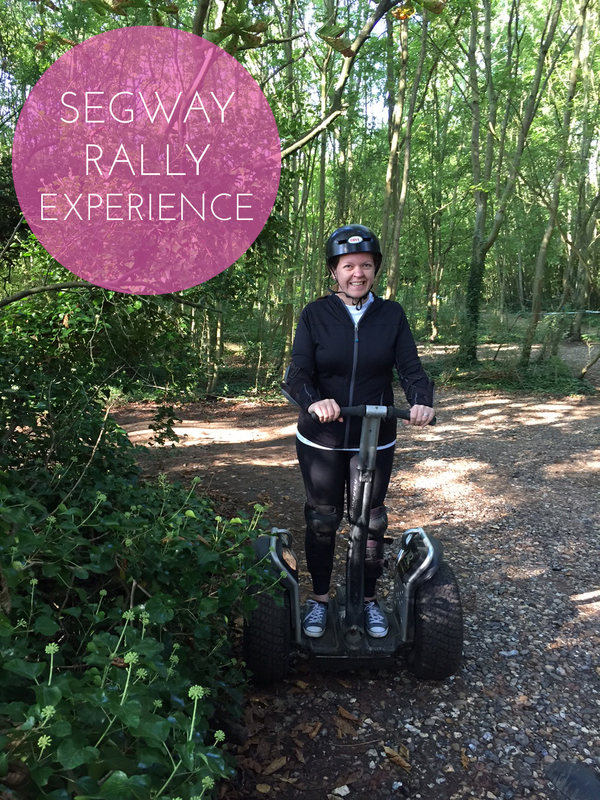 My friends kindly gifted Glen and I with a Segway Rally experience earlier this year and we had been waiting for the chance to use the voucher. One of the Segway venues is at Bray Lake, so it seemed like the perfect opportunity to use it whilst we were in Windsor for the Diamond Triathlon. My Mum was also keen to ride a Segway, so I bought her a voucher for her birthday. Bray Lake turned out to be a beautiful venue for our Segway experience- I was tempted to go for another swim while we waited! We got kitted out in helmets, knee and elbow pads then completed a safety waiver. The nerves started to kick in for my Mum as she saw the Segways and wondered what she had let herself in for! The instructor talked through the basic skills for handling the machines with a quick demonstration of each skill. The two-wheeled machine responds to body movements- to travel forward you simply lean forward. To turn or steer, you lean left or right whilst holding the handlebars and to stop you stand upright. It sounded fairly straightforward until we were called forward for a practice run! It felt very strange and unsteady to stand on the platform at first, like I was floating above the ground. I couldn’t get the machine to move forwards as I wasn’t leaning quite enough weight into it, but after a few minutes practice, I understood how to control the movement and speed. Once we all were confident on the Segways, the instructor lead us along a track to the rally circuit in the forest. The terrain was rough and undulating with tree roots, gravel and a twisty turning course to negotiate. We set off to explore the area, all heading in different directions on the paths. This was a chance to really see what the Segways were capable of and push the speed- Glen was flying around the course! Apparently their top speed is 12mph, but these particular Segways were limited to 7.5mph although that felt fast enough! There was no one-way system on the course, so sometimes you would meet another Segway head-on. I almost collided with my Mum as she came hurtling around a corner-luckily no one crashed or fell off! We also made sure to steer clear of Usain Bolt! It was a great experience and seemed to be over too quickly, we were called back to regroup after only 20 minutes on the Segway course. 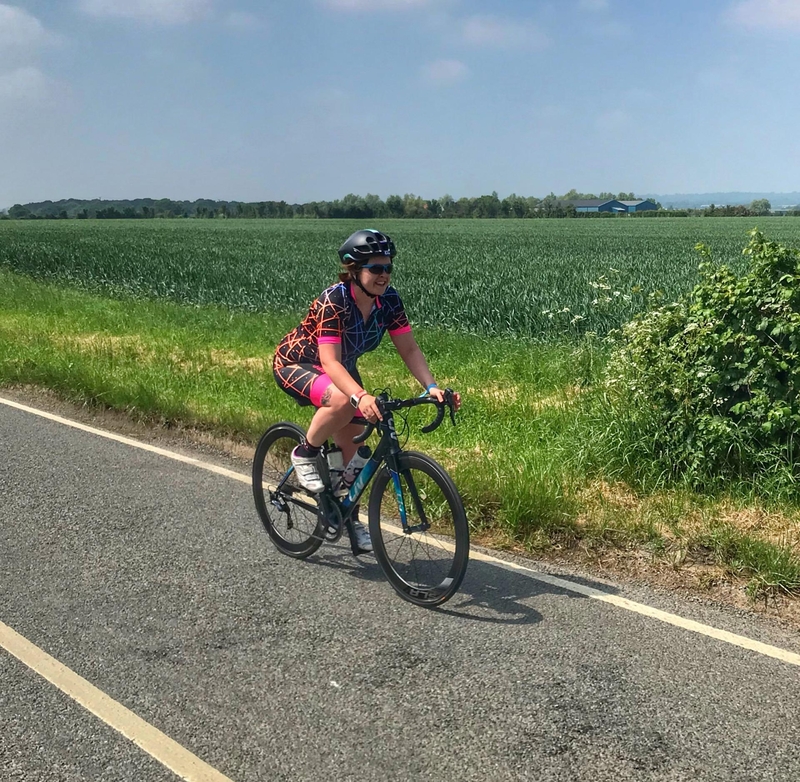 It did slightly aggravate my hip injury, as I felt every jolt and bump through my body, so I was slightly relieved to be finished. I’d love to have another go, maybe on a different course or to race against others. Have you ever ridden a Segway? Do you fancy giving it a try? Haha love the pics of you both! This looks like so much fun. Shame they only gave you 20 minutes- I would expect 45 minutes would be more appropriate. It looks like a great venue – great pics! We had a go along the beach last year and it was really good fun. It took a bit to get used to it but we were soon flying around the course. Our youngest wasn’t too sure of them though…he said he’d rather keep his feet on the ground! I haven’t ridden a Segway before, but it is on my list! Even higher having read your experience, thank you. Me and my other half the Belton Woods Segway trail last week and I know what you mean about the sense of relief when it finishes. The track and woodland was lovely but it was a very bumpy ride!